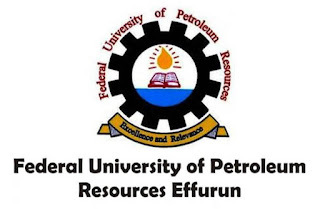 Federal University of Petroleum Resources Effurun (FUPRE) Registration & Clearance Guidelines and Procedures for Fresh and Returning Students, 2018/2019 Academic Session. 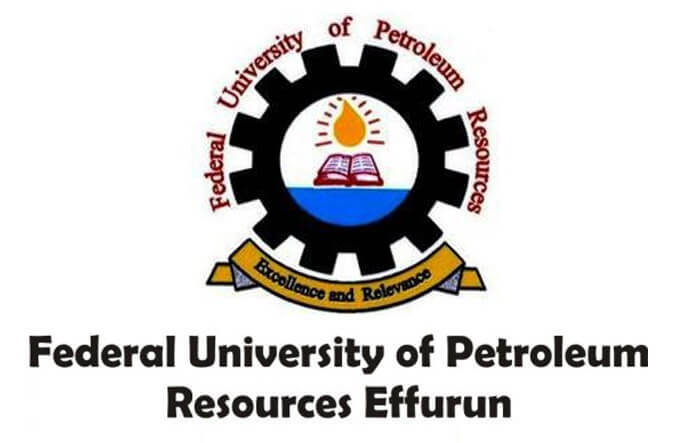 This is to inform all the fresh and old undergraduate students of the Federal University of Petroleum Resources Effurun (FUPRE) that the management of the institution has released the guidelines for Registration/Clearance for the 2018/2019 academic session. 4. FOR RETURNING STUDENTS, THEIR SEMESTER RESULTS WOULD BE USED FOR CLEARANCE TO THE NEXT LEVEL. 5. NEW STUDENTS ARE TO RECEIVE AUTHORITY TO PAY STUDENTS’ CHARGES AFTER BEING CLEARED. STUDENTS ONLY). RETURNING STUDENTS CAN ACCESS THE ONLINE REGISTRATION PORTAL FROM ANYWHERE). 2. A USERNAME AND PASSWORD WILL BE GENERATED FOR EACH FRESH STUDENT FOR SUBSEQUENT REGISTRATION EXERCISES. WILL BE GIVEN TO EACH STUDENT. 4. SUBMIT A COPY EACH OF THE COURSE REGISTRATION FORM PRINTOUT TO THE ACADEMIC AFFAIRS OFFICER, THE COLLEGE AND THE DEPARTMENT. THE LAST COPY IS TO BE KEPT BY THE STUDENT AS HIS/HER COPY. USING THE USERNAME AND PASSWORD GENERATED BY THE ICT OFFICE, STUDENTS ARE TO APPLY FOR HOSTEL ACCOMMODATION ONLINE. STUDENTS ARE TO PROCEED TO THE UNIVERSITY HEALTH CENTRE TO UNDERTAKE THEIR MEDICAL SCREENING. STUDENTS ARE TO PROCEED TO THEIR RESPECTIVE COLLEGES FOR BOTH THE DEPARTMENTAL AND COLLEGE REGISTRATION. NEW STUDENTS ARE TO PROCEED TO THE LIBRARY FOR LIBRARY REGISTRATION AND COLLECTION OF LIBRARY ID CARDS. A COPY OF THE LIBRARY GUIDE WILL ALSO BE GIVEN TO EACH STUDENT. STUDENTS ARE TO PROCEED ONLINE TO COMPLETE THE SECURITY FORM. NOTE: FAILURE TO PAY STUDENTS CHARGES AND NON REGISTRATION OF COURSES FOR ANY SESSION RENDERS THEM VOLUNTARILY WITHDRAWN FROM THE UNIVERSITY.